This week I discovered another way to delicious food for less. Different to the Groupon deals I tried last time, this time is: help yourself! 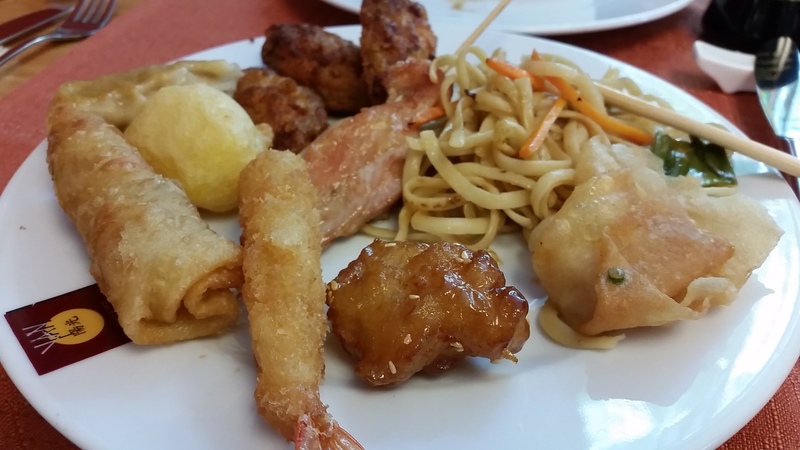 Yan Sushi und Wok: all you can eat Asian Buffet! Salad bar: didn’t get too close to that one but it was full of healthy raw veggies. My little one just loves cherry tomatoes so he got his serve of veggie! Dessert: fruit salad, custard puff and ALL YOU CAN EAT ICE CREAM = dreamland for the kids. Don’t you hate it when the kids want to try two flavours but they are not able to finish one scoop? Here you make the scoops yourself so tiny scoops of each flavour and voila, minimal wastage! Tables are separated by wooden panels, it doesn’t feel like a terrible cheap and dirty buffet. They have small tables and big rounds tables with lazy suzies for banquets. 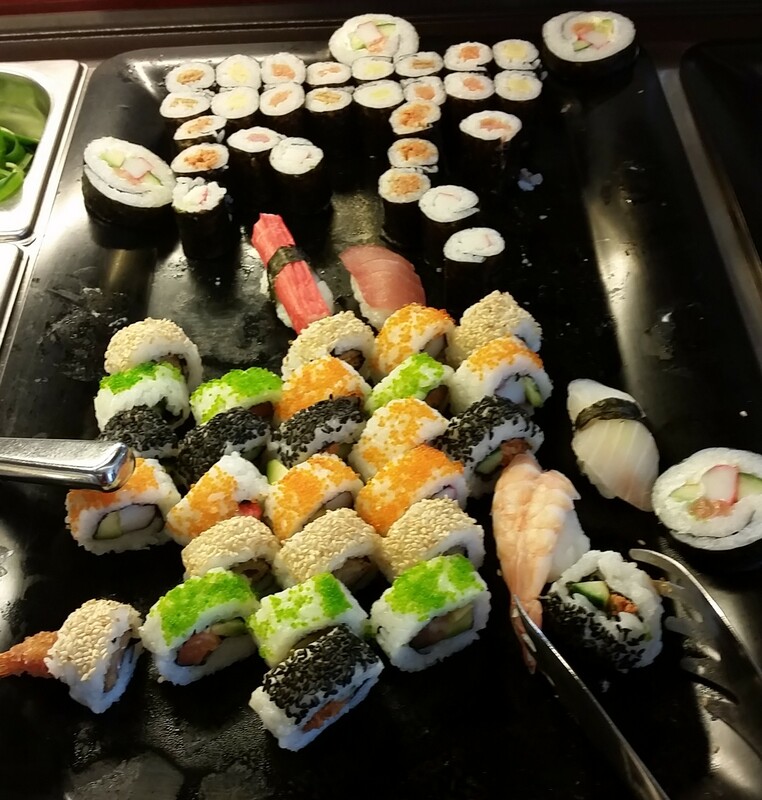 How am I confident it’s one of the best Asian value meals in Zürich? It was full of Asians so it’s the best sign the food is somehow authentic and tasty and the price is right. 10min drive from our place and only 17 minutes drive for my friend who lives in Thalwil, on the opposite side of the lake! How convenient! Best of all: they open on Sundays, whereas Asiaway does not. 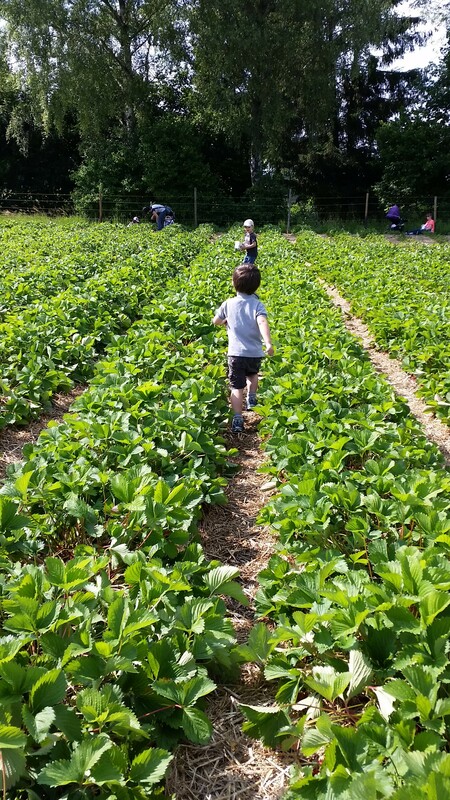 Only 12 min drive from home you can find a massive strawberry field (forever!). 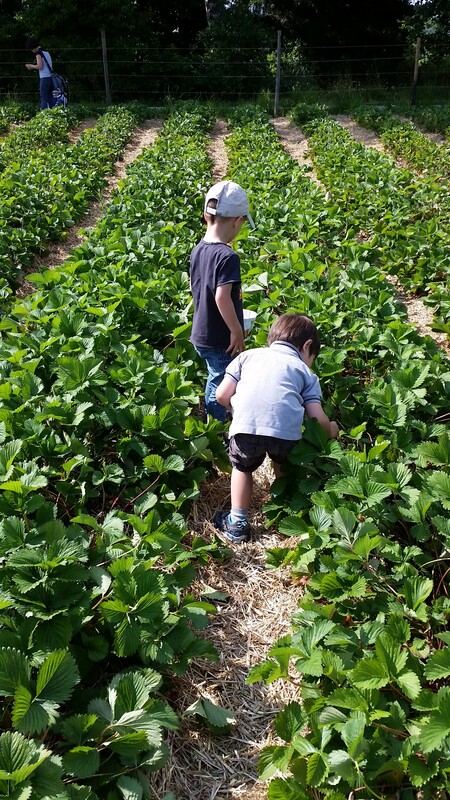 Just go along the aisles and pick the biggest reddest strawberries, They are so tasty and juicy, what a treat. Best of all it keeps your kids entertained for an hour. You’re not supposed to eat them while picking them but hey, who doesn’t come back with red hans and red faces! Price: 5CHF for a kg when you pick them yourself (9 Fr if they are already picked and packed). It’s half the price to Swiss strawberries sold at your local grocery store but probably dearer than Spanish industrial all year round produced strawberry. But hey, now that I’ve tried this, I’d rather not eat strawberries at all than eat the Spanish one. TIP: get kids to wear red or dark clothes!